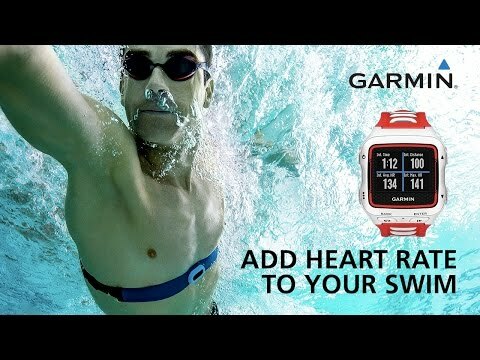 Garmin’s answer to the question swimmers have been asking for years, "where’s our heart rate monitor?" 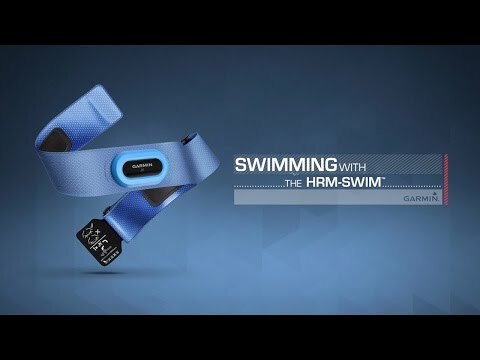 This monitor stores heart rate data when underwater, then forwards it to a compatible Garmin device once you're back on land. The strap is non-slip to stay in place even during wall push-offs, and is resistant to most pool chemicals. Compatible with Forerunner 920XT, Fenix 3, and Epix models. Dimensions are 58 to 145 x 3.8 x 1.2cm. Sensor size is 29.4 x 51.4 x 8.5mm. CR2032 battery last for 18 months if swimming 3 hours per week. Supports heart rate variability and advanced heart rate features. 2.4 GHz ANT wireless communication protocol.